Have you ever heard of a pair of baby socks that didn't stay on? Sorry, I meant to ask: Have you ever heard of a pair of baby socks that DID stay on? Elisabeth Zimmermann did it again. 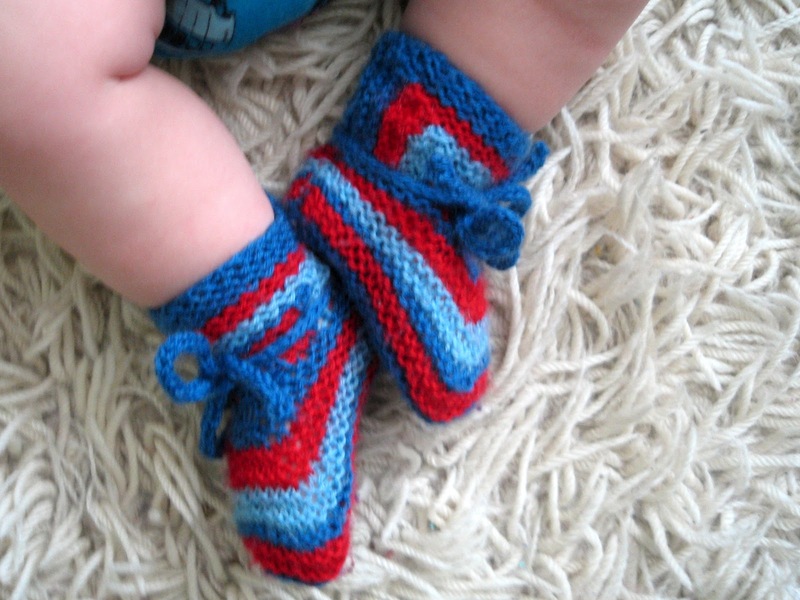 These baby socks are knitted based on the same idea as her Baby Surprise Jacket, and they stay on the baby's feet. Amazing. 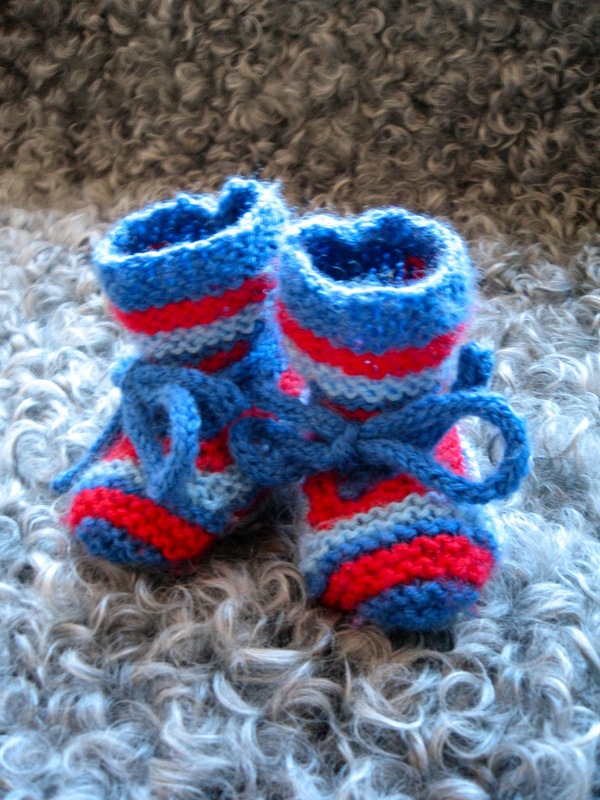 As you see below they are soon too small for baby I, I'll have to knit another pair in a larger size. But they have been great this winter. And the I-cord was almost too simple. Very smart. The yarn is more leftover Hillesvåg (the Norwegian 4-ply machine washable 100 % worsted wool, found here), and the pattern is from The Opinionated Knitter by Elisabeth Zimmermann. 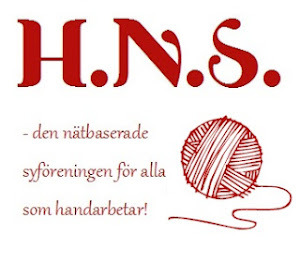 Summary in Swedish: Äntligen har jag hittat ett par babysockor som inte ramlar av! Elisabeth Zimmermanns Baby Surprise Bootees är naturligtvis ursmart konstruerade, och "the I-cord", snodden, är nästan för enkel. Tack för kommentar hos mig så jag hittade hit! Fin blogg. Återkommer.